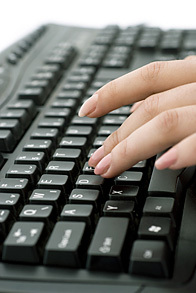 Pacific Medical Transcription does not outsource medical transcription overseas or even outside of our company's office. We understand that outsourcing presents too serious a threat of breach of confidentiality. Our clients' reputations depend on protection of patient information, and we have always ensured that confidential data remain in-house. 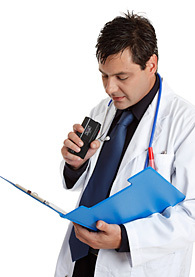 Full compliance with current Federal HIPAA regulations is maintained at Pacific Medical Transcription. Our IT staff have certified training in HIPAA/HITECH-compliant system solutions. Pacific Medical Transcription has served the Bay Area community – acute care medical facilities, biomedical scientists, individual practitioners/specialty clinics and attorneys – for over 25 years. Our experienced staff produces the very highest quality work. We use the latest technology, have expert on-site IT and QA support, and adhere strictly to HIPAA/HITECH security and privacy standards. We are professionals with thorough expertise in all medical, biomedical and medical-legal disciplines. We know that accuracy is critical to the highest quality work. We are absolutely up-to-date with the latest pharmaceuticals, medical and surgical procedures, the biomedical sciences including but not limited to genetics and stem cell research, and the various medical-legal services including workers compensation, deposition transcripts and abstracting of medical-legal records. Our clients stay with us long term. Most of our new clients come from referrals as well, indicating maximal satisfaction with our company and its services. We are located centrally in San Francisco. We are available through electronic and internet access 24/7. Our team of transcriptionists, QA and IT professionals work on-site and are available for direct consultation during all business hours. Our mission is to provide the greatest level of satisfaction for all of our clients. We understand the essential role of accurate and timely transcription in health care delivery and medical-legal matters. We also know that transcription requirements are unique for each client, and work closely with clients to develop the desired production plan. Let us review your special needs. We have been serving the San Francisco medical, biomedical and medical-legal communities since 1983. We are strengthened by years of experience. We come from medical, clinical, biomedical research, technical, business and educational backgrounds. We enjoy our work, and share in the satisfaction of making a contribution to the community. We look forward to talking with you about how we can meet your medical and biomedical transcription needs. Please call us for rates and our custom services.